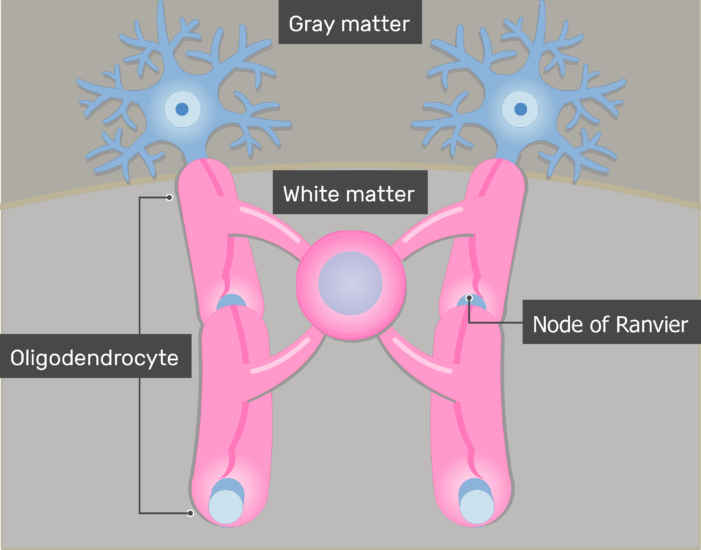 Another type of support cell found in the spinal cord and brain (CNS) is the oligodendrocyte. As its name implies, an oligodendrocyte is a cell (cyte) with a relatively small number (oligo) of cytoplasmic processes that branch (dendro) from a spherical cell body. 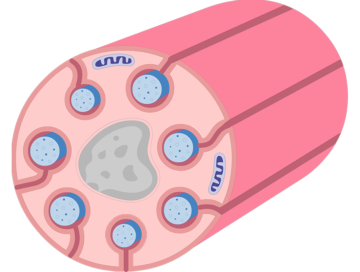 The tip of each cytoplasmic process repeatedly wraps around a nearby axon to form a lipid-rich myelin sheath measuring about 1 millimeter in length. Oligodendrocytes thus function much like Schwann cells do in the PNS. 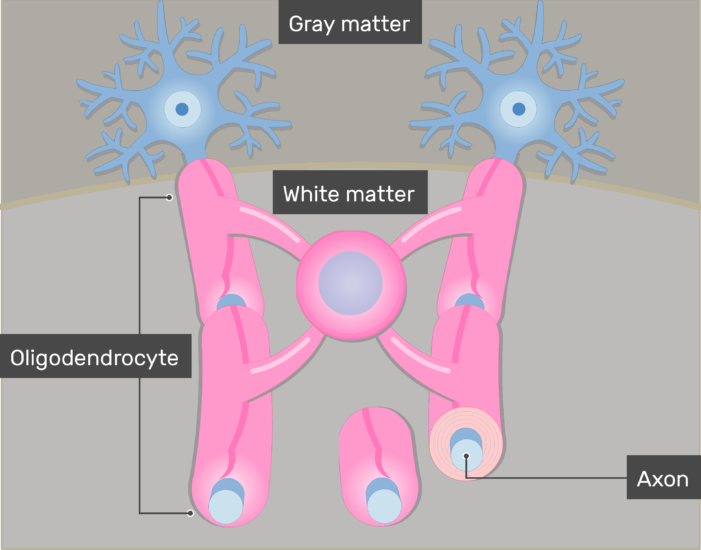 However, oligodendrocytes have multiple cytoplasmic processes and myelinate several (up to 50) axons at the same time. As in the PNS, the narrow gaps between myelin sheaths are called nodes of Ranvier, and action potentials (electro-chemical impulses) occur only in these unmyelinated regions of the axon. 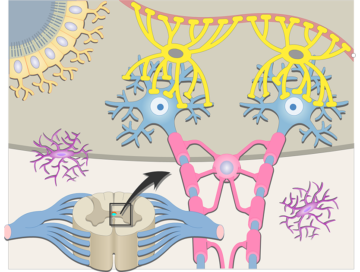 The jumping of action potentials from node to node (saltatory conduction) increases the rate at which signals move down the axon. Because lipids are light in color, they make myelinated axons appear white in their natural (unstained) state. 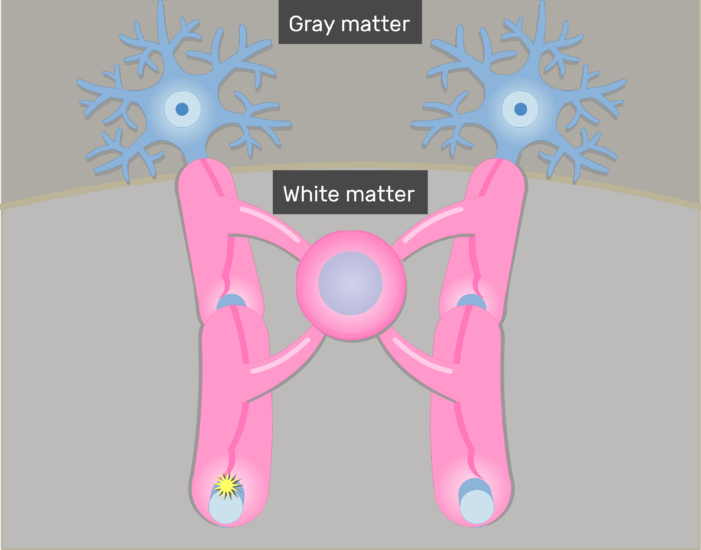 The regions of the CNS that contain high concentrations of myelinated axons are thus referred to as white matter. 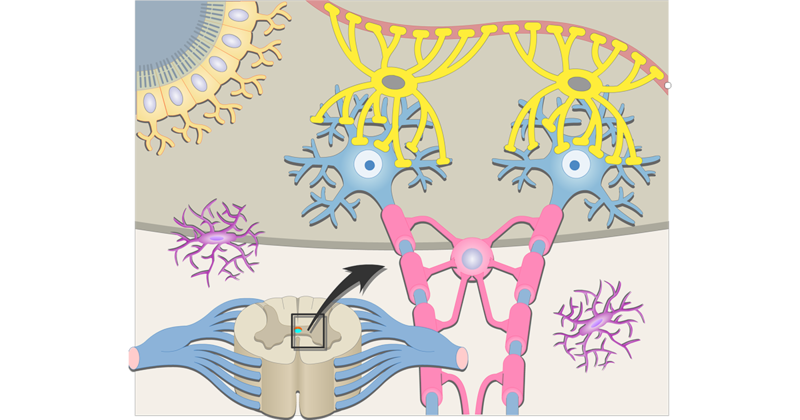 In the peripheral nervous system, Schwann cells also surround and give support to small-diameter axons. 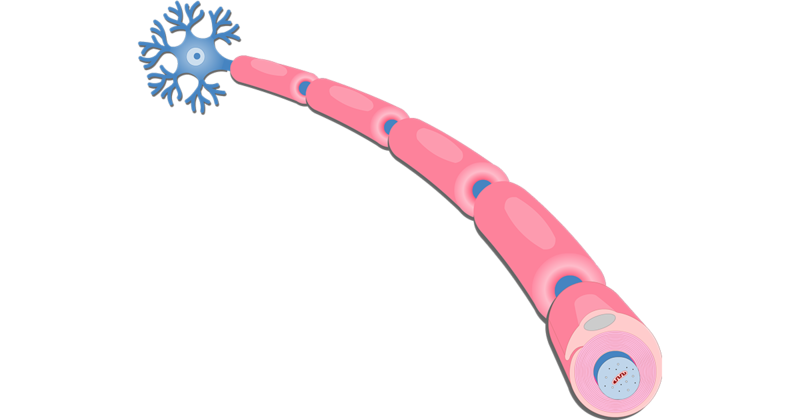 Satellite cells are small, flattened cells found in the ganglia of the peripheral nervous system. 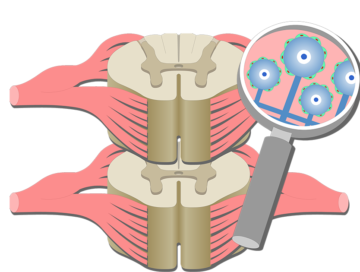 The support cells, which are also referred to as glial cells or neuroglia (nerve glue), help out the neurons in many ways.